Foteini Vlachou (1975-2017) studied archaeology and art history, receiving her master’s and PhD from the University of Crete (2013). 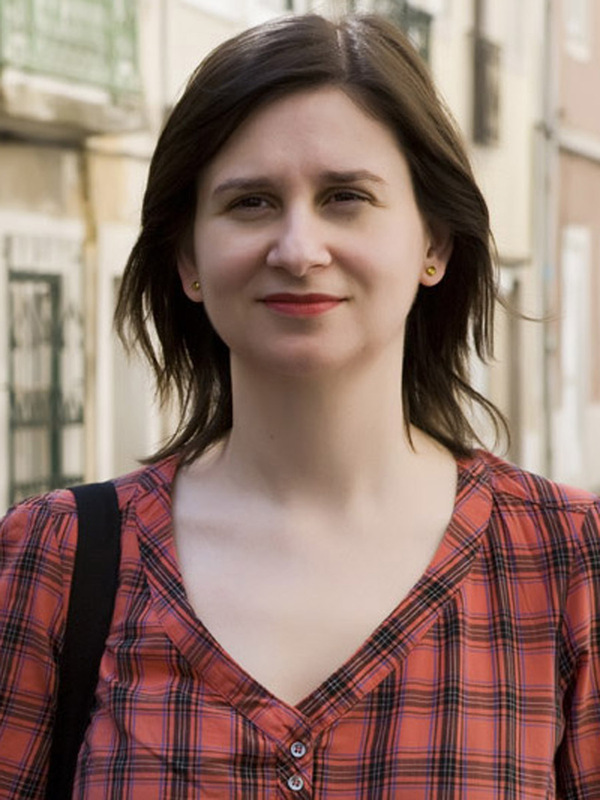 She has held fellowships from the Panagiotis and Effi Michelis Foundation (Athens), the Fundação para a Ciência e a Tecnologia (Lisbon), the Fundação Calouste Gulbenkian (Lisbon), and a postdoctoral fellowship from the Instituto de História Contemporânea (Faculdade de Ciências Sociais e Humanas, Universidade Nova de Lisboa), for a project entitled ‘Art and Culture in the Iberian Peninsula and Latin America 1870-1914: Making/Unmaking National and Imperial Identities’. She has worked as a researcher (‘Crossing Borders’, 2014) and has taught art history and non-western arts as a visiting assistant professor at the department of art history of the Universidade Nova de Lisboa. She was coordinating the ‘Art in the Periphery’ research network, and has published chapters and articles on Portuguese art, questions of historiography and reception, and the periphery. She was writing a book on Portuguese history painting, monarchy, and the empire, and co-editing with Joana Cunha Leal a special issue on Portuguese historiography of art for The Journal of Art Historiography. In 2016, Foteini Vlachou was offered an ICI Fellowship, which she had to decline for health reasons. She passed away on 8 June 2017. What Time for the Periphery? This project, building on previous research regarding the construction of the periphery as a temporal rather than a spatial concept and the political ramifications of this phenomenon, seeks to expand on notions of temporality associated with the periphery (such as delay), using the work of French philosopher Louis Althusser. It also aims to explore other concepts (such as Jung’s synchronicity), in an attempt both to question the discourse on periphery within and without the confines of art history, and the notion of causality when dealing with aesthetic phenomena. Making the case for the return of the periphery to the center of our scholarly concerns, this project proposes to do so not in response to an increasingly prominent interest in geography and the notion of place/space, but, on the contrary, as criticism of the postmodern obsession with cartography, mapping, and spatiality. It is to time, instead, that we should turn in order to understand the ideological implications of linear, homogeneous narratives where influence, progress, and development provide the seemingly neutral and universal accounts of culture and the production of art.